Bad credit is something you can overcome. No matter the situation or the circumstances, our credit approval experts can help you get an auto loan and on the road to repairing your credit score. It could have been from missed payments, late payments, collections notices, loan defaults, repossession or bankruptcy. If you’re currently suffering from poor credit, you may not be able to obtain a “standard” loan on the car you need to purchase. 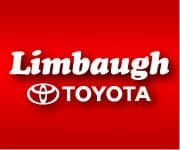 This is where Limbaugh Toyota Credit Approval Center can help with our special financing auto loans. We work with a network of lenders that offer special lending programs to buyers with less than perfect credit. We can help get you from a low credit score, into the vehicle you need. Getting approved for an auto loan is just the first step at Limbaugh Toyota Credit Approval Center. We are here to help improve our customers’ lives. We will educate you about repairing damaged credit. We do this for everyone, even if they have not had the best track record in the past or have gone through a bankruptcy. What do you need to get an auto loan with bad credit? *All vehicles subject to prior sale. All advertised prices exclude government fees and taxes, any finance charges, any dealer documentation preparation charge, any electronic filing charges and any emission testing charge. ©2019 Strong Automotive Merchandising, All Rights Reserved.